#PDAPagkikitakita - With Jamie's (Coleen Garcia) life hanging on the line, Franco (Joseph Marco) races against time to save his wife. 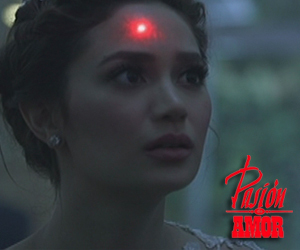 #PDAPakikipaglaban - Is this the end for Jamie (Coleen Garcia)? #PDAPagmamanman - Everything seems like a happy ever after for the Elizondos and Samontes, but Gabriel (Wendell Ramos) is only about to start with his most evil plan. #PDAPagpapahamak - Now it's time for Gabriel's (Wendell Ramos) grand wedding plans. 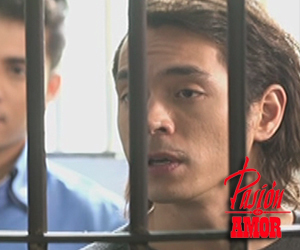 #PDARegalo - Juan (Jake Cuenca) and Norma's (Arci Munoz) son becomes Gabriel's (Wendell Ramos) next target. #PDAimbitasyon -While everyone's preparing for the big wedding, Gabriel (Wendell Ramos) also prepares his big surprise for the Elizondos and the Samontes. #PDAkaguluhan - While Gabriela (Teresa Loyzaga) ends up behind bars, the Elizondo sisters and the Samontes start a new chapter of their lives. #PDAPagbigayAlam - While Gabriela (Teresa Loyzaga) ends up behind bars, the Elizondo sisters and the Samontes start a new chapter of their lives. #PDAKatapusan - The Samontes are able to save the Elizondos, while Gabriela (Teresa Loyzaga) finds a way to escape from Gabriel (Wendell Ramos).